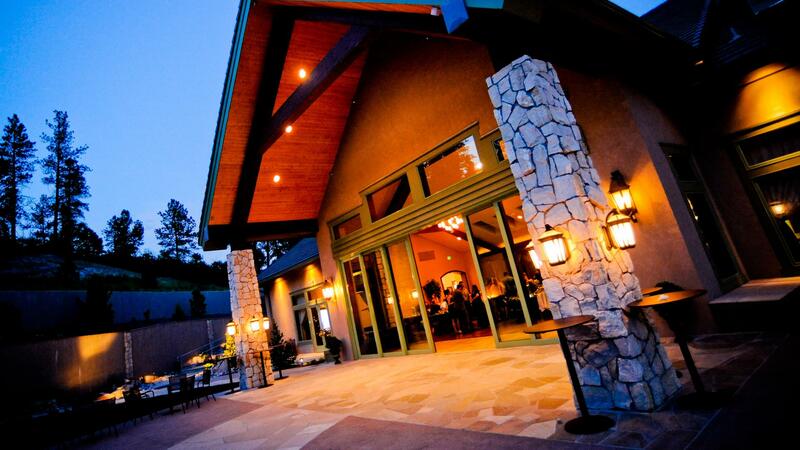 Rent Cielo at Castle Pines | Corporate Events | Wedding Locations, Event Spaces and Party Venues. Cielo is a unique Colorado event venue surrounded by six acres of majestic pines, stone walls, and landscaped grounds that capture the elegant beauty of Castle Pines Village. Cielo provides a tranquil Colorado setting for you and your guests in a truly convenient location. Cielo is a new, unique, Colorado event venue surrounded by six acres of majestic pines, stone walls, and landscaped grounds that capture the elegant beauty of Castle Pines Village. This peaceful Colorado setting is a perfect place to provide memories that will last a lifetime for weddings and celebrations for any occasion. Every season also brings its own natural beauty to Cielo. Occasions of any size, from a seated affair of up to 400 guests to a smaller intimate celebration, can also be designed to meet your needs. From an intimate ceremony to a lavish formal gala, you can make your special day what you have always dreamed. Our main dining room can be arranged to suit your wishes – with a beautiful fireplace or an opening to the outdoors as the backdrop for your wedding vows. Cielo's dramatic staircase is perfect for your special entrance. Our private dressing suite and lower level lounge are spacious and comfortable as you prepare for your special day with your family and friends. We also offer a beautiful outdoor setting for both wedding ceremonies and day receptions with a gazebo surrounded by towering pine trees and wildflowers. Whatever your special occasion, Cielo is a great location for a private party. We can accommodate gatherings for holiday parties, reunions, anniversaries, birthday, bar and bat mitzvahs, corporate parties, and any other reason to get together to celebrate and have fun. Our staff will do everything to make sure that you and your guests have a good time and a memorable experience.